HAV Dosimeters are the truly unique component of the HAVSense System, completely self-contained, they record the entire vibration dosage imparted on the hands and fingers, unlike any other system available. They have been ergonomically designed to fit comfortably between the fingers under or over a glove, require no wires or connections and automatically transfer their entire vibration record to your computer system when returned to the docking system at the end of a shift. The HAV dosimeters have been ergonomically developed to sit seamlessly between the fingers whether beneath or above a glove. Careful design ensures our dosimeters don’t hinder movement or use of the hand, while still being right where the vibration occurs. Thousands of times a second, the dosimeter filters and processes the signal from three sensors, positioned in the three axes. Every second, HSE points are automatically calculated and recorded by the dosimeter. 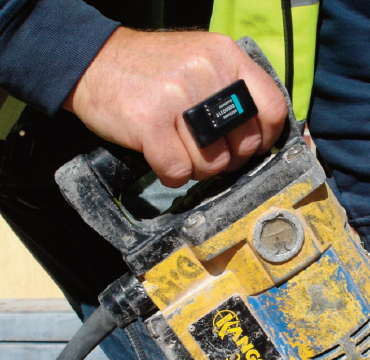 Should the operator exceed either the action limit or the legal limit of HSE points the dosimeter will issue a visual alarm, indicating to the operator they must stop their exposure. At the end of a shift, the dosimeter is simply placed back into the docking station which will transfer the vibration record to a PC and charge the dosimeter ready for the next shift. 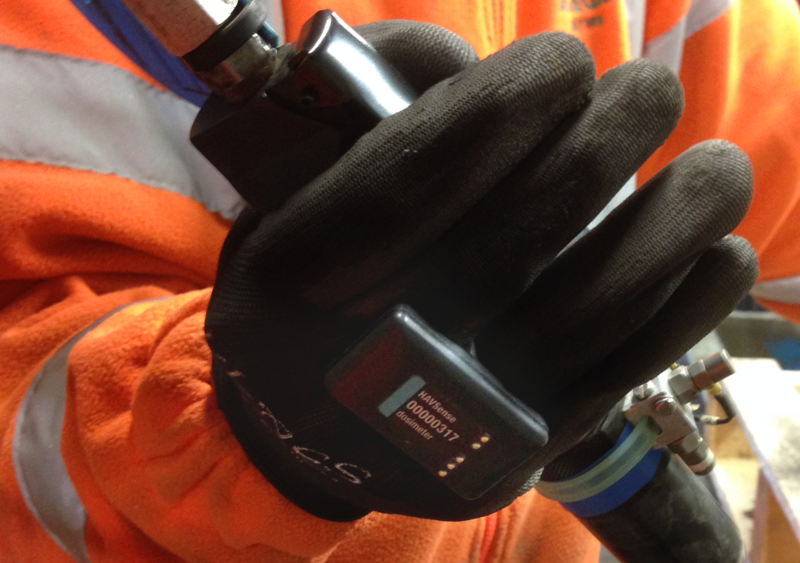 HAVSense dosimeters measure and record the vibration actually received by the operator. 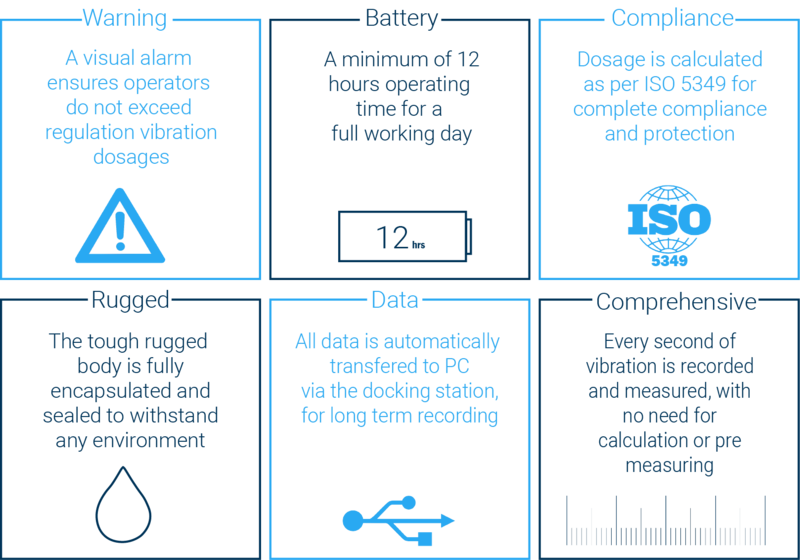 This makes circumstances irrelevant, the exact vibration dosage will be recorded accurately, protecting operators and meaning employers comply with legislation. Find out more about HAV dosimeters monitoring. Daily vibration exposure A(8) or Ahwx, Ahwy, Ahwz, HSE exposure points, overload per cent time.